An organisation as big as IAPS cannot be run only by the 9 physics students that make up the Executive Committee (EC). Several subcommittees in different areas exist and are constituted by IAPS members who devote their free time to help the EC on the day to day work of IAPS. These are the Subbies and you can be the next IAPS Subbie! Several opportunities are open and you do not want to miss this chance! 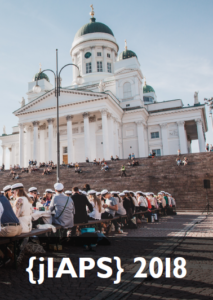 Volunteering and gathering experience in student associations is getting increasingly popular and it may even help you when you apply to your first job! You can be an enthusiastic beginner, a self-made pro looking to share knowledge or something in between. What is important is to have an open mind, good work ethics, the will to help and learn by doing. This year, there are opportunities in several fields, from Events to Advocacy! Find out more here. And do not miss this chance to become a Subbie! 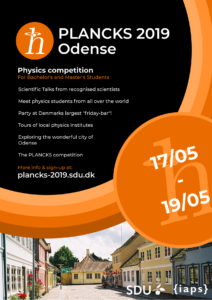 PLANCKS 2019 – A National Competition? Do you know what PLANCKS is? 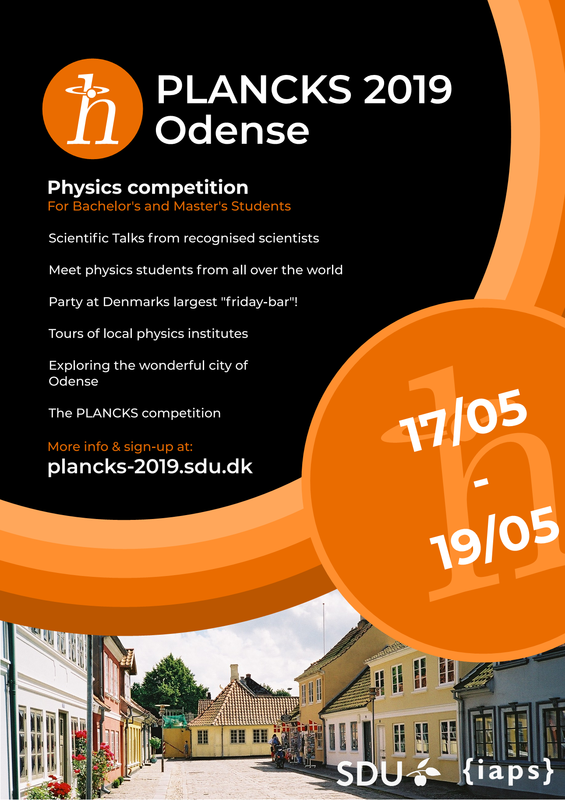 It is the Physics League Across Numerous Countries for Kickass Students and in 2019, its 6th edition is going to take place from the 17th to the 19th of May in Odense, Denmark! It is the theoretical team Physics Competition that decides which country has the most kickass students. ;) Each country can send 2 (or 3) teams of 3 to 4 bachelor or master students. However, how do you choose who represents your country? Well, you organise a preliminary! A PLANCKS preliminary is a national qualifier PLANCKS competition, where several teams from your country compete for a place in the final! If you are considering organising a preliminary, you can find all the useful information in the Info-package. If you want to host a preliminary but don’t know how to do it, you can also check several PLANCKS Preliminary Examples and see what fits your country the best! After you decide to host a Preliminary, please register it here. What are you waiting for? Find out more about PLANCKS 2019 here and get involved! 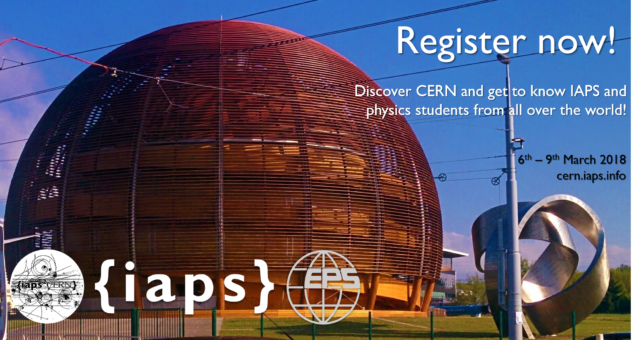 jIAPS Editor 2019 Call is Open! 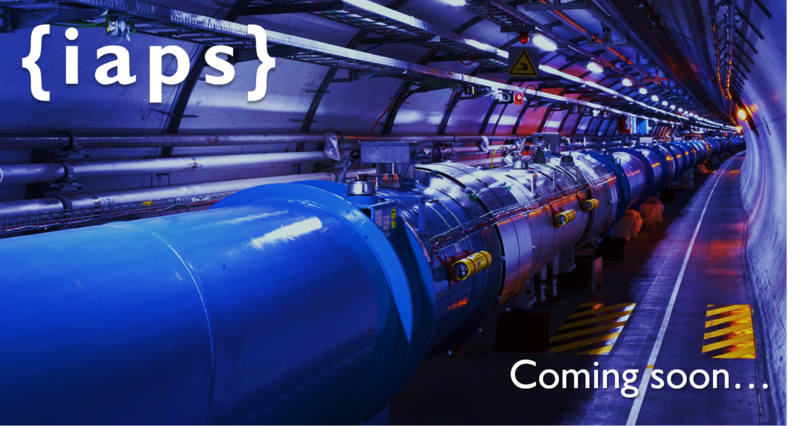 The journal of IAPS, jIAPS, is the annual publication of the International Association of Physics Students, containing scientific articles, IAPS event reports and news from our members! The journal, and all its promotion, is run and organised by an editor, and that person could be you! The Call for the jIAPS 2019 Editor is now open! If you are interested in working and developing this publication, you have until the 14th of November to send to pr@iaps.info your CV, a letter of motivation and any statement about your ideas, projects and vision for jIAPS you may have! This year’s edition of jIAPS, the journal of the International Association of Physics Students, is now available. It contains events reports from our members. If a scientific trip to another country seems appealing, read these to see in-depth descriptions of what the events were like by the participants themselves. The majority are set to be re-held again this academic year. Email events@iaps.info for more info on a specific event. The next part of the contents are introductions from our new members. We had articles from 6 new members this year, from the Hellenic Society of NC Greece to Local Committee SPHERE in the Philippines and WINAK of LC Antwerp. 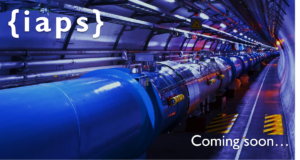 These are useful to read to see how physics societies around the world handle becoming IAPS members and for info on their unique structure and events. If you are interested in becoming an IAPS member by forming either a National or Local committee, you can contact members@iaps.info for advice and guidance. The second part of jIAPS is the scientific articles. Every year we hold an article contest to give students practice of writing scientific articles based on their current research or science interests. This is open to all levels of study and the first prize is a free trip to our conference, ICPS. I would like to give a special thanks to our Editor-in-Chief Ewelina Nowak for doing such an excellent job of compiling this year’s jIAPS and for all of her hard work. I would also like to thank the editors (Augustin Orešković and James Kneller) for their contribution. If you would like to be on the editorial team of next year’s edition, email pr@iaps.info. So please do enjoy the attached jIAPS article!